Coneygree's chances of creating another piece of racing history for himself moved a step closer after connections confirmed he is on target to run in the Hennessy Gold Cup at Newbury. Trainer Mark Bradstock had been left fearing the worst when he discovered a lame foot recently but, having reshod the Cheltenham Gold Cup winner, his wife and assistant trainer, Sara, reported "things are looking a lot rosier". Coneygree has rapidly ascended the ranks of staying chasing following his remarkable surge to Cheltenham success back in the spring. On just his fourth ever start over fences, the eight-year-old became the first novice in 41 years to land the showpiece of the Cheltenham Festival. In doing so, he produced a spell-binding and courageous front running display under jockey Nico De Boinville. The pair belittled the magnitude of the occasion, bowling along in front in the Cotswolds before gamely running up the famous Cheltenham hill to repel the challenges of Djakadam and Road To Riches in a frantic finish. It was a run that catapulted Coneygree towards superstardom in the jumps game and, having re-emerged this season with a facile success at Sandown in early November, there is no indication that his progress will be blunted. While the Bradstock's have suggested they will need to take their time before deciding on his participation at Newbury on November 28th, Coneygree can be backed 'with a run' on betfair for the prestigious handicap. 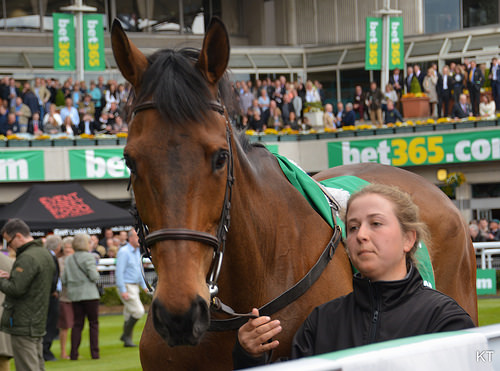 By lining up at Newbury, Coneygree would attempt to join an illustrious band of eight horses to have won both the Newbury and Cheltenham Gold Cup's – the most recent of which was Nicky Henderson's Bobs Worth, winner of the 2012 race before going on to achieve Cheltenham glory the following March. The horse with which Coneygree is frequently compared is also the most recent Cheltenham Gold Cup winner to then come to Newbury and win, the great Denman. Paul Nicholls' star landed the second of his Hennessy wins in 2009, 18 months after his epic success around Prestbury Park that so mirrored the performance of Coneygree this time around. 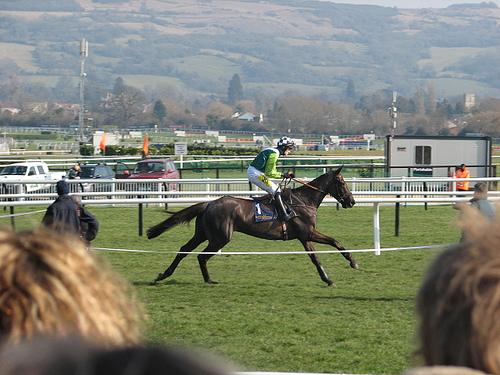 Like Coneygree, Denman liked to put his rivals under pressure. Jumping boldly and setting sail for home early, he dragged the opposition from their comfort zone. With a big weight to carry for his Newbury assignment, Coneygree will attempt to do the same. Few will be willing to write off his chances if he makes it to Newbury, where he would have the chance to once more emulate the Ditcheat destroyer, Denman.